The guys after quibbling about what episode this is, start talking about how Kaner’s new hipster beard is a clever ploy based on Diplomacy principles to get his wife to allow him to keep his moustache. And don’t forget to also check out (as mentioned in the interview) captainmeme’s incredible analysis of the highs and lows of each player’s game. Note: due to the various technical constraints (and user error by Amby) the interview was recorded in Mono rather than Stereo. And because we’re such cheap bastards and edit this on freeware, the whole track had to be stepped down to Mono. So apologies if it doesn’t sound as good as our other episodes. I don’t have any disagreement with the opinions stated, so no need for rebuttal. I do have some thoughts, if I can remember them. First, hat tip to my former teammate Mujus, who was the original Italy and played the first seventy-odd years of the game. That already exceeded the previous record for longest game. Mujus committed 3+ years of real life to the game, and simply reached the point of exhaustion (indeed, he no longer is active here). He brought Italy back from one SC to a viable position for me to take over. At that point, California already had used two subs and the TD was AWOL. As noted on the podcast, the remaining players were agreeable to Mujus (semi-anon, but by then everyone knew he was Italy) being replaced by an unspecified teammate rather than picking up a stranger off the street and throwing him into this historic game. I agree the chief contributors to the extraordinary length of the game were (1) the fact that it was the last WC game and tournament-determinative; (2) the remarkable resolve of the players to commit to their individual win situation as the only acceptable outcome; (3) the variety and inconsistency of the players’ individual win situations; and (4) the public press nature. My team California had the tournament lead with only the PP game to go. As long as JECE/Russia/Iberia did not solo, we were going to win the tournament (JECE said on the podcast that he also needed Italy eliminated, which I had not figured out). While I was playing, I thought a solo by goldfinger0303/Russia/Mid-Atlantic also might win the tournament for his team. I thought a solo by Leif Syverson/Germany/Texas was a “safe” result that would still result in a California tournament win, but I wasn’t actually sure which team was playing Germany. That was more inference from the in-game chatter by the other players. Because of all that, my main goal (and Mujus’ before me) was to have the game end in a draw. If it had to be a solo, it needed to be a German solo. The interesting wrinkle was that Italy did not have to survive. Therefore, a RGA 3wd was an acceptable outcome for me. It was unusual trying to play for a result that did not have to include my survival. When I joined in the 1970s, I identified JECE/Russia as my nemesis. He was the holdout on prior draws because he would only accept a Russian solo outcome. Therefore, my main strategy was to undermine Russia both in terms of board position and socially on the global press. If Russia were eliminated, I thought the game would end as a GAI draw. Once there were only three powers left, I thought the players were strong enough that any two should be able to stop the third from a solo. On the board, I tried to counter JECE’s strategy of maintaining control over Scandinavia and Anatolia. I tried to create conditions where I could encourage Germany to take Russia out in the north. If JECE ever lost StP, I thought his solo aspirations would be over. I also tried to create conditions where I could encourage Austria to take Russia out in Anatolia, or more likely split it with me. I kept control of Austria by making sure he never built fleets. One time he tried to slip a fleet build in. It didn’t hurt the joint AI position on the board, but it incrementally increased his potential for a solo. In a normal game, I might have been irritated but would have continued working with him. Because of the tournament format/win condition, I instead threw everything at him to make sure that it was clear he would never solo, even if I died in the process (since a 3wd excluding Italy was acceptable). Austria couldn’t make progress against me without exposing himself to Russia, and eventually he had to disband his fleets. With no fleets, he was no solo threat and I controlled the entire Med. Gibraltar was a key location. One of Germany’s solo pushes came when I was playing. Because I controlled the Med, I had the ability to hold Gibraltar and shut Germany out, or conversely to let him into the Med to allow the solo. That gave me leverage against Austria and Russia, since a German solo was an acceptable outcome for me and not them. Despite the fact that I only needed the game to end in a draw, and not even necessarily including me, I almost soloed. Germany and I were working together smoothly toward the elimination of Russia and we had a peaceful, stable arrangement around the English island. I don’t remember if Leif NMR’d or we had a miscommunication, but the result was that my fleets around the island got into an advantageous position that I didn’t intend. I was able to use that advantage to stab Germany and storm the Atlantic, eventually getting up to 16 centers. I thought it would be an exciting finish to the historic game if I could solo, but I wasn’t able to pull it off. I don’t think the WC format came across clearly on the podcast. To me, it sounded like there was one prior game needed to get to the final round. There was one preliminary round (group stage, which goldfinger0303 did say). But the preliminary round was made up of two full press games, two gunboat games, and one public press game. The teams’ composite scores from all of those preliminary games dictated who made it into the final round. The final round then repeated the same array of games. So by the time the PP game was the last of the tournament, there had been 15 games played in the preliminary round (of which each Final team played in 5) and four completed games in the Final round (of which each Final played in all). Lastly, ghug is like Gollum, creeping around in his rainy Seattle cave of bitterness and dreaming about the Precious who got away. Someday he’ll bite my finger off as he falls into the volcano. 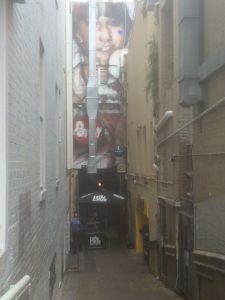 The Hanged Man: ‘If I can remember is key’, ha ha. I haven’t checked those numbers myself to see if they add up. But as you can see, my game is the only one left and we can only win the World Cup if I win it (438 points). If I manage to get my game down to a 2-way draw (227 points), we will fall short by over 100 points and come in 2nd place. Because Kompole of the Balkans was eliminated in my game, Iberia will come in 2nd place the moment I agree to any draw of the game (the minimum 71 points we would get from a 6-way draw would put us above the Balkans). The only two teams that can still win the world cup are “California I” and Iberia; the Californians have a distinct advantage. Even so, overall this is good news! In the last (and first) edition of the World Cup, we finished 3rd. San Diego (the old California I) had finished 5th in the last World Cup. The Hanged Man: As for the World Cup format, I agree that we didn’t explain it very well. By two games we meant that each individual player in the Finals has only played one game. The Ambassador: Very interesting editing (interesting maybe just because I haven’t been interviewed before, ha ha). Apart from having to recreate some of the questions you asked us, I notice you also shaved on content slightly and rearraned the order of some of the questions/responses. I appreciate the effort you put into making the podcast more cohesive and logical. The intro and concluding remarks you made with kaner406 also added to the interview. The sound quality actually came out pretty good to my ears. Keep ’em coming! I’d love to hear even just a 30-second segment each episode of you guys reading from a list of player names, just for pronunciation gold. I really enjoyed hearing from other players like Leif, goldfinger, and JECE. I know it adds logistical complications, but hearing many perspectives is very interesting to me. Amby had the pronunciation right, and then you guys corrected it. It’s Leif (leaf) Syverson (like Alan Iverson, but with the preceding S). Despite the fact I was the victim (accidental target of opportunity?) this go around, I agree with the good doc, any time you guys attempt pronunciation, we are in for a treat! Many thanks to both of you for having us on, and thanks to THM for his reply and thoughts. 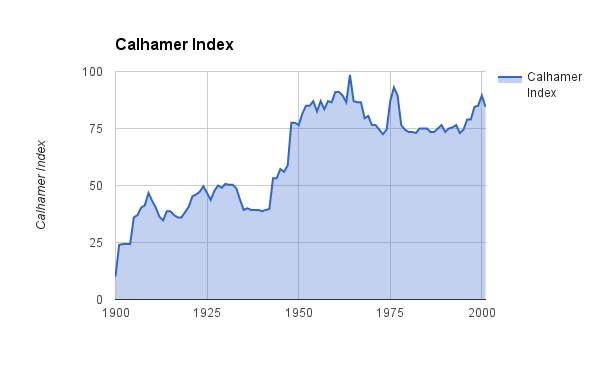 I’ll have to look into that Calhamer Index, I hadn’t seen that before. I’m always interested in metrics and stats and what value they can play when informing decision making in game.